Fun style for the younger boys. 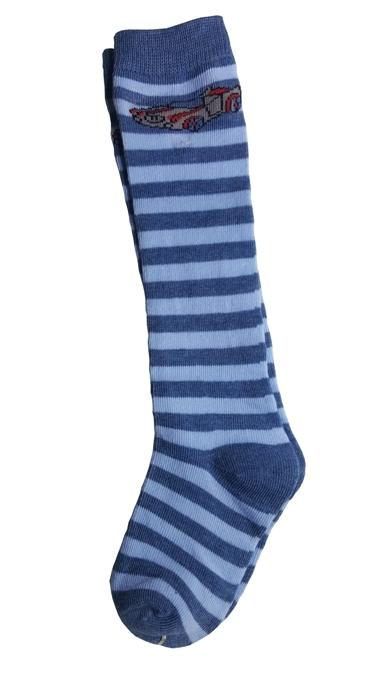 Striped light blue and dusty blue cotton knee socks with an embroidered car design at the top. 80% cotton, 20% spandex. The socks fit ages 2-6 years.